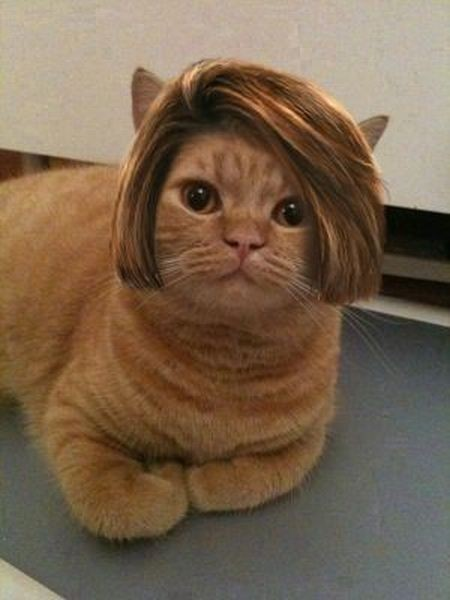 Don't make fun of this poor kitty wearing a toupee. He's self conscious about his image in front of the other cats. Poor kitty. When I saw this picture, I knew that it was so cute that I had to repost it. For cute!